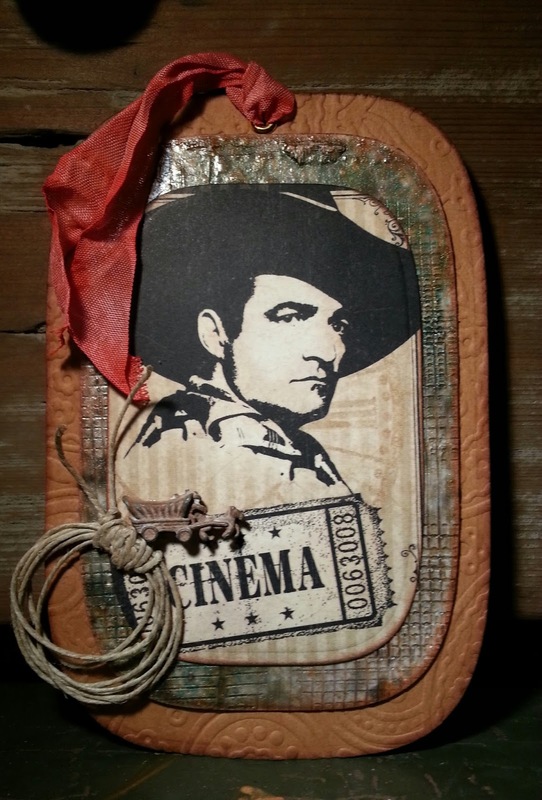 Hey blog friends, here's a cool John Wayne inspired gift card holder that you will love to give, and any guy on your gift list would love to get. I used some great new products: die templates and embossing folders from Spellbinders; paper from Graphic 45, and kraft·tex™ from C&T Publishing. If you haven't used kraft·tex™ before, you are going to love it! 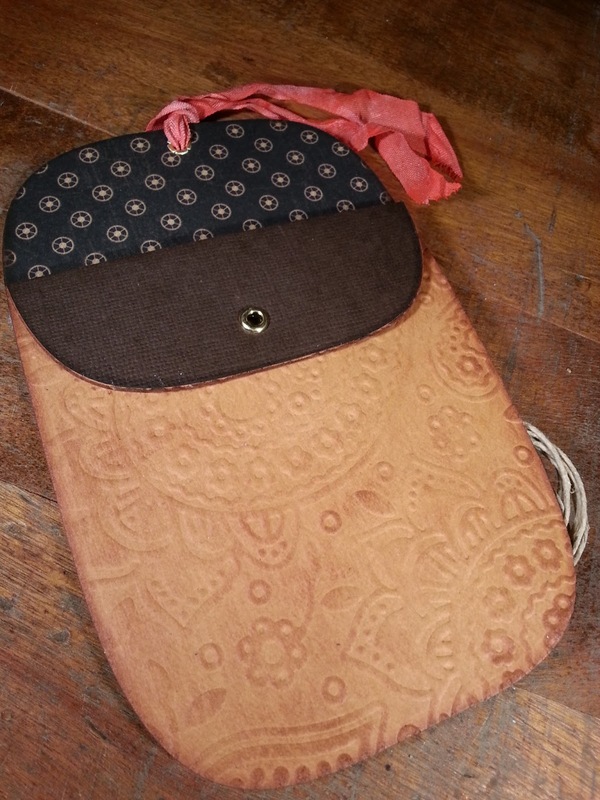 It's rugged paper that looks, feels, and wears like leather, but sews, cuts, and washes just like fabric. And you can die cut and emboss it with Spellbinders die templates and embossing folders. kraft·tex™ is very similar to the material that the waistband tags on Levi's jeans are made from...it's really rugged and durable, yet you can treat it just as would paper for craft projects. It embosses really nicely! It looks and feels like leather! Vintage elements like an antique game piece and a small loop of twine really make this gift card holder feel like something from an old west movie. 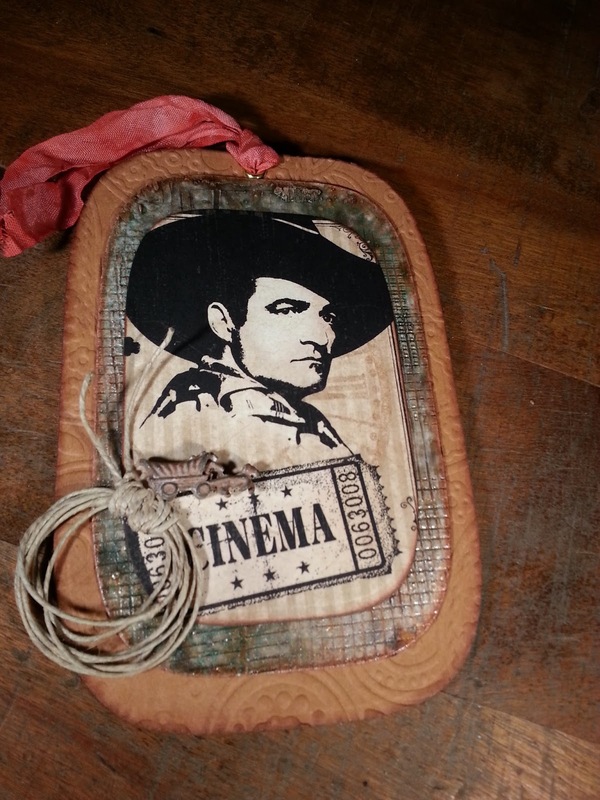 This John Wayne inspired gift card holder is great for a gift card or movie passes and any guy on your list would love it's vintage western appeal. Thank you for stopping by today...I hope you like this project. I'd love to hear what you think...feel free to leave a comment below! Wow, this is so awesome! I love the Kraft-tex! Love the gift card holder! Thanks for sharing such a cool product with us too! I really love that lasso detail!!! 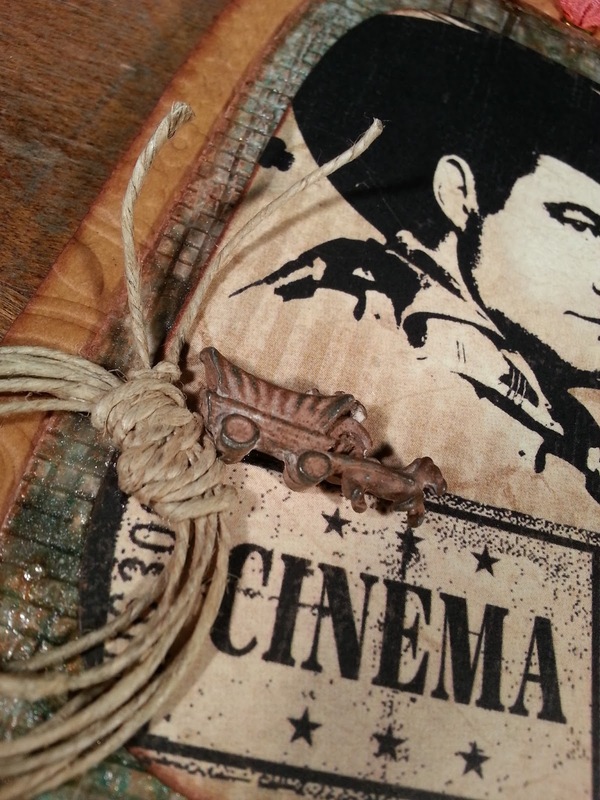 I love westerns & love this creation! The lasso is great & really wanting to try this paper now!